FRESNO – Philanthropy Inspired by the Needs of our Community (PINC), a unique Fresno nonprofit founded in 2008 to benefit other local nonprofits in the community, has announced the beneficiary for its 6th annual fundraising event to be held on June 7, 2014. The beneficiary for the event, slated to be an old Hollywood-style event, will be Transitions Children’s Services, a relatively new non-profit whose purpose is to provide quality, culturally competent treatment foster care and extended foster care services to children, families and non-minor dependents in the child welfare and foster care system. Now entering its seventh year of operation and sixth year of holding its signature fundraising events, PINC and its members have accomplished great things in the community helping to support the other amazing no-profits in Fresno County working to make it a better place to live. Since 2009, PINC has raised a total of $139,500 through its annual fundraising events benefitting Angel Babies of Hinds Hospice (2009); Marjaree Mason Center (2010); Make-A-Wish Foundation® of Central California (2011); Break The Barriers (2012) and Catholic Charities – Diocese of Fresno (2013). PINC members selected Transitions Children’s Services as the 2014 event beneficiary after a formal application process. Applications were reviewed by the PINC board and narrowed down to three finalists who then spoke at a PINC member meeting about what their organization does in the community and how the money will impact what they do. The PINC members then voted to select Transitions Children’s Services as the 2014 event beneficiary. The mission of Transitions Children’s Services is to serve abused and/or neglected children who have been removed from their homes and are in need of loving, nurturing and competent foster families. Transitions’ focus is to recruit, train and support families interested in fostering children, as well as provide culturally sensitive services that reflect the goals and objectives of the placing agencies from which they receive referrals. Transitions’ social workers work diligently to meet the needs of any child placed in foster care, support families who open their home to children and work with placing agencies as treatment plans are developed and implemented. The non-profit’s vision is to see all children who have been removed from their homes reunified with their families. It is their goal to support the reunification process and transition children out of foster care when deemed safe and appropriate by the placing agency. “We feel that all children deserve a home and a family who will love and nurture them. Should a child need the services of a foster home, we strive to provide the best foster care services possible until a more permanent plan can be achieved,” said Brian Van Anne, MSW, CEO of Transitions Children’s Services. Mark your calendars for the 6th Annual PINC Event, June 7 benefitting Transitions Children’s Services. Tickets will go on-sale in March 2014, but for businesses or individuals who wish to be part of this event there are a variety of sponsorship, as well as silent auction donation opportunities. 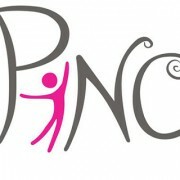 Visit www.PincFresno.org for more information or email sponsorship@pincfresno.org.